Or view larger version. Untitled. 1964. Lonnie Wilson, photographer. Gelatin silver print. Collection of Oakland Museum of California. The Oakland Tribune Collection. Gift of Alameda Newspaper Group. 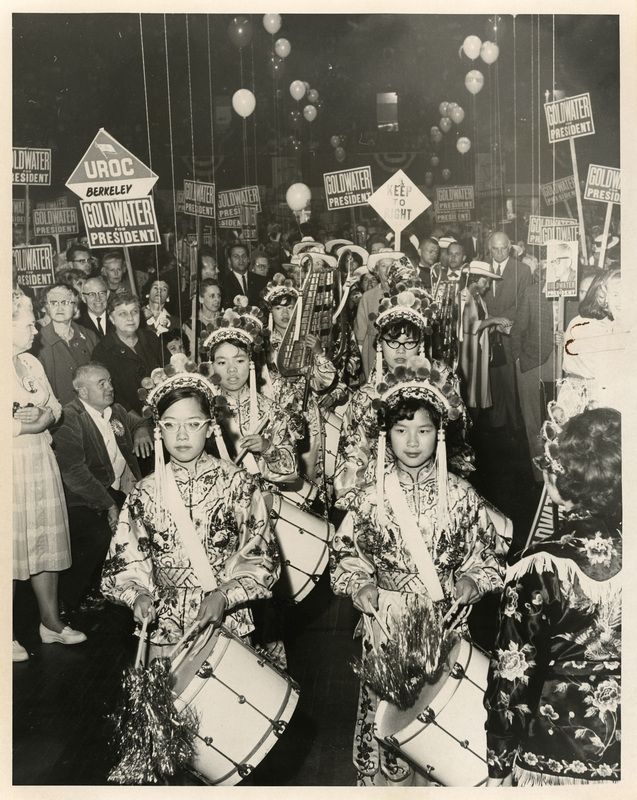 This is a photograph of a female Chinese band parading through a crowd at a political event supporting the presidential campaign of Republican candidate, Barry Goldwater. Goldwater was the Republican candidate running against incumbent Lyndon B. Johnson during the United States presidential election in 1964. Goldwater was defeated with only 52 electoral votes against Johnson’s 486 electoral votes.